The Hulkster's in the house! Grab yourself a cold one and join Bum Wine Bob along with Jesse Krakow as they discuss the classic 1995 rap-rock album, "Hulk Rules" by Hulk Hogan & The Wrestling Boot Band! 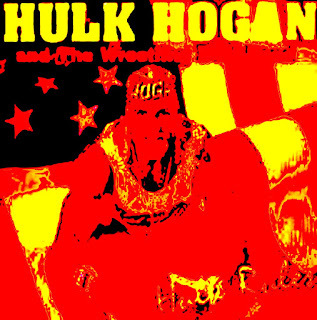 We are no strangers to this unforgettable album at bumwinebob.com and on Bumming with Bobcat, when back in 2015 we did a special Hulk Hogan & The Wrestling Boot Band tribute podcast right before the Hulkster found himself enthralled in controversy. Now three years later, we are taking another trip with the beach patrol and Jesse is joining us on the journey! Jesse Krakow is a musician who was recently compelled to re-record this album and give it a new lease on life. Did the world really need another "Hulk Rules" album? We are taking a deep dive into this album and try to figure out what they were thinking and who thought this was a good idea. "I first heard this album in 2003 when my brother handed me a copy and commanded that I listen to it immediately. For a former Hulkamaniac like myself that first listen was quite the experience. It immediately raised many questions, the main one being "Why is Hulk Hogan rapping?" Sadly I had no answer. I still don't. 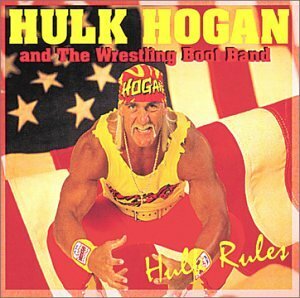 To this day I remain baffled as to why this album was recorded, let alone recorded a decade after the height of Hulkamania. But I'm happy it was." "Actually, I have no real idea why I remade this album. But that makes sense. If I remain confused about the very existence of "Hulk Rules" I should also be confused about my proactive reaction to it. 'Cause it never stops being interesting. When Armageddon comes my brother and I will still be talking about it. I have written a lot about it and could write a lot more. A lot has already been written by others about it, and i'm sure they could write a lot more too. I see no end in sight." We are also breaking down the current landscape of professional wrestling, while talking about how we became fans ourselves. Why do they always pull us back in after we think we are out? Listen to "Hulk Rules with Jesse Krakow" on Spreaker.